« Brands – Who Will #OWNIT in 2014? 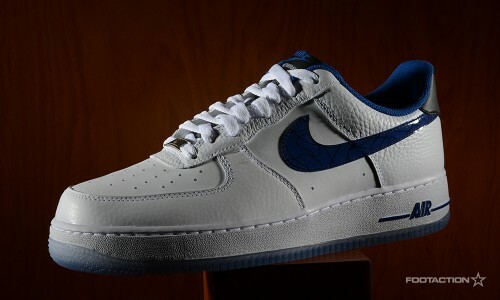 The Nike Air Force 1 07 Penny is another great Penny Hardaway-inspired Air Force 1 by Nike Sportswear. Clean and conservative by omitting the wavy side panels, it sticks with a marbled glossy Swoosh that imitates the Jewel look on that original sneaker. Full premium tumbled leather is the material of choice paired with Air Penny 1-inspired Swoosh logos in varsity royal. The Air Penny 1 also inspired the Penny logo on the heel, striped tongue design, and a translucent outsole to put the cherry on top. Print article This entry was posted by hhcblog on January 9, 2014 at 6:27 pm, and is filed under Footwear. Follow any responses to this post through RSS 2.0. You can leave a response or trackback from your own site.